It’s official! 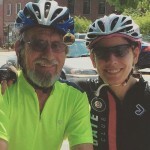 We’ll be celebrating the 20th anniversary of Harold Strope’s heart transplant with a bicycle ride from Albany, NY to Boston, MA. This is the 200 mile journey he took in an ambulance in 1995 to receive his new heart at Massachusetts General Hospital. 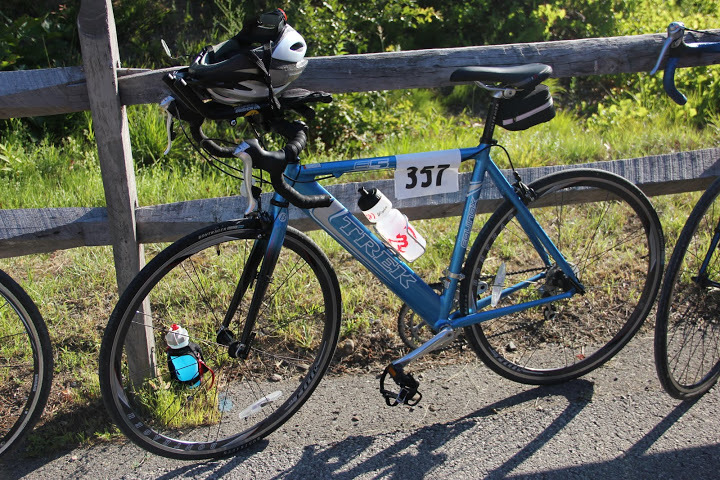 You can join us for all three days of the ride or just the final spin around Boston. We’ll also have a post-ride celebration on Sunday, October 4, 2015. Not a cyclist? No problem! Just like organ donation and transplantation, we need a community of support to make this celebration happen. Sign up to volunteer with pre-ride logistics or lend a hand throughout the weekend. 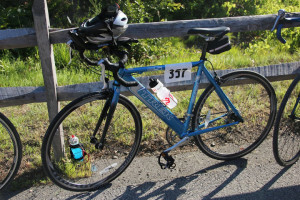 On June 23, 2012, we joined the NY Center for Donation and Transplant’s team Cycle for Life to participate in the Centurion New York 25 mile ride. The race kicked off next to Lake George and the Million Dollar Beach with approximately 200 cyclists. The Organ Donor for Life participants included myself, Harold Strope and Andrew Dudek. We were supported with great cheering by Miriam Strope, Mona Dudek, Roya Dudek and Cindy and Bridget from CDTNY. The 25 mile loop took us out of Lake George towards Lake Luzerne. There were some long gradual climbs to start. It was smooth sailing until about mile 13. For what was billed as a race for beginners, the 10% grade on one hill was definitely a challenge. This short and steep climb was followed on by at least two more climbs that surprised many of the cyclists. Team Cycle for Life was not the only charity team participating. There was a large group with Team Challenge for Crohn’s and Colitis disease. Given people are overcoming serious illnesses and surgeries to participate, the course could have been a little more beginner friendly. That said, we made it through. 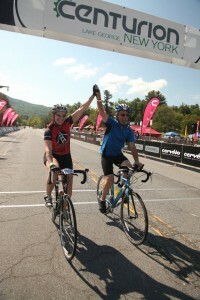 As Harold and I cruised back to the Lake Front, we chatted quickly about how to cross the finish line: “high five? hold hands? race?” Hold hands down the finisher chute! We crossed the finish line together as the race announcer shared our family’s store and my father’s accomplishment. And to top everything off, after we crossed the finish line, a number of other racers and supporters stopped by the Cycle for Life tent to inquire about organ donation! For a new race outside our hometown, this was a good start. We look forward to growing our presence next year. And, we look forward to more activities with our new partner – the Center for Donation and Transplant! View more photos from the race weekend! Saturday, June 23, 2012 Organ Donor for Life will be joining with the New York Center for Donation & Transplant’s Cycle for Life team to participate in the Centurion New York. The Center for Donation & Transplantation is one of 58 federally designated organ procurement organizations in the US and serves parts of NY, VT and MA. 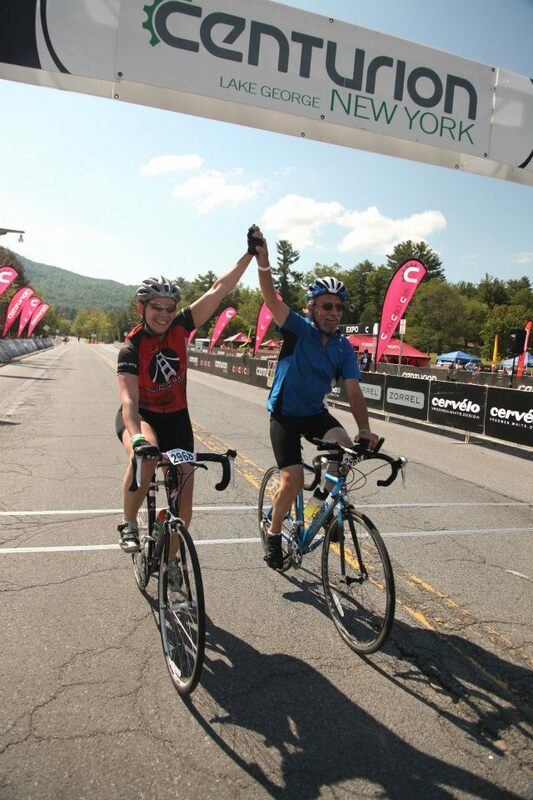 We will be riding 25 miles through the foothills of the Adirondacks and around Lake George. Some of us will go on to cycle 50 and 100 miles on Sunday! We’re looking forward to cycling with a group of organ transplant recipients and donor families from our region. 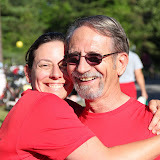 Last summer, I’m pretty certain Harold was the only heart transplant recipient racing in the Pine Bush Triathlon. Hopefully, this will be just the start of many more partnerships and races in the years ahead. I’ve already started planning for Harold’s 20th anniversary of his heart transplant in 2015.